Highlighting the work of visual journalists and visual communicators. If you ever wondered what photographers go through to get the shot, here’s a great example. 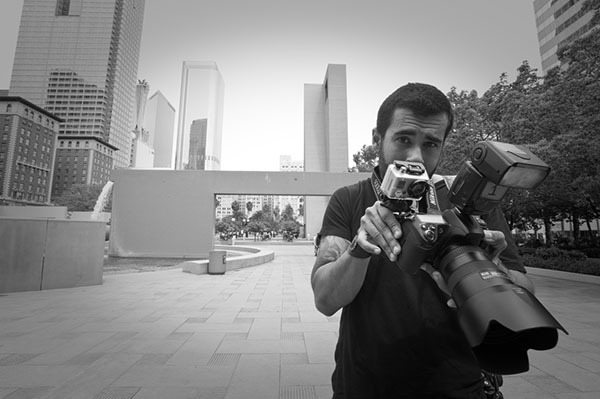 Photographer Josh Valcarcel rigged a GoPro camera to his camera during a recent shoot so we all could see what he saw while covering the International Pillow Fight Day in Los Angeles. Check out his blog post “Urban Playground” for more details. Urban Playground: Los Angeles from Josh Valcarcel on Vimeo. 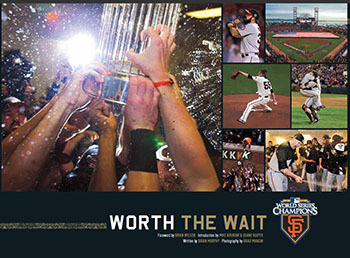 “Worth the Wait” is the official commemorative book celebrating the San Francisco Giants historic 2010 World Series season. Sports photographer Brad Mangin has a new book out this week titled “Worth the Wait“, which features his pictures from the San Francisco Giants 2010 World Series season. Brad teamed up with KNBR radio personality Brian Murphy and the San Francisco Giants to produce the hardcover book in time for the start of the 2011 season. If you are a Giant’s fan, you will want to proudly display this in your home. If you are a fan of baseball, you will want to read this book because Brad and Brian share your love of the game. If you are into sports photography, add this book to your collection because nobody shoots baseball like Brad. It is a beautifully designed and engaging book that will appeal to readers well beyond the scope of the Bay Area. It’s a great book. Go buy it! I should probably disclose that my endorsement this book is not without bias. Brad and I have been friends since 1971. He was a San Francisco Giants junkie back then and still is. I never really understood his dedication to this team but have admired his loyalty to it over the years. In the 70s Brad was one of those kids who brought his transistor radio to school so he could listen to the play-by-play during recess. In the 80s he would brave the cold and windy night games at Candlestick Park and stay until the last out so he could collect one of those orange buttons for his Giants cap. In the 90s he had a dedicated pager that sent him pitch-by-pitch updates when he didn’t have any other means of connecting to the game. In 2000 when the Giants built a new ball park he became a season ticket holder. Since then, whenever he wasn’t shooting a Giant’s game for Sports Illustrated or MLB Photos, he was attending as a fan. As a friend, I’ve been watching Brad ride the emotional roller coaster the Giants ball club has taken their fans on throughout the years. Their 2010 season was definitely a high. What a ride it was. Thankfully, “Worth the Wait” will allow Brad and the fans to enjoy the ride for years to come. Brad and Brian will be signing their book at several events this month. You may have to wait in line to meet them but it will be worth the wait.